Find the lowest prices on all styles of garage door bottom weather seals for commercial and residential uses in 100-ft. rolls at Garage Door Supply Company. These 100-ft. rolls are the perfect size for installing on multiple doors. 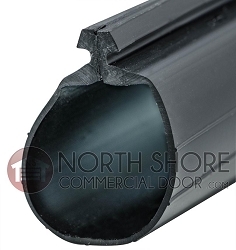 Choose wood, rubber or EPDM rubber garage door bottom seals. 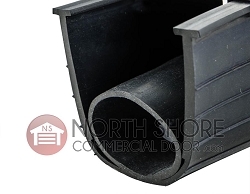 We carry brand-name weather seals made specifically for brand-name commercial garage doors. Protect your home or business garage from damage caused by pests, storm runoff, dirt, dust and dozens of other contaminants. Seal out hot and cold drafts to lower your energy costs with our easy-installation seals. Replace cracked or brittle weather seals. 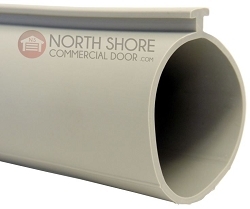 We have 100-ft. rolls of "P" bulb vinyl garage door bottom weather seals for two-in. pan doors and Genie brand garage doors. 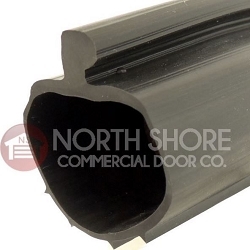 We have 100-ft. rolls of bulb-style bottom weather seal in extra durable EPDM rubber. Simply cut to fit. Our Clopay brand weather seal in 100-ft. economy rolls are what you need for Clopay steel garage doors. Bead-end garage door bottom seals by Wayne Dalton in 100-ft. rolls are especially designed for Wayne Dalton's steel, Thermaguard, foam core and Thermawayne doors. 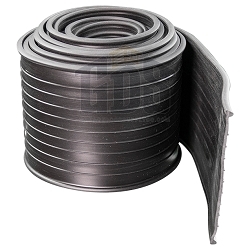 Find the economy-priced bulk roll of garage door bottom weather seals that will meet your residential or commercial garage door needs.